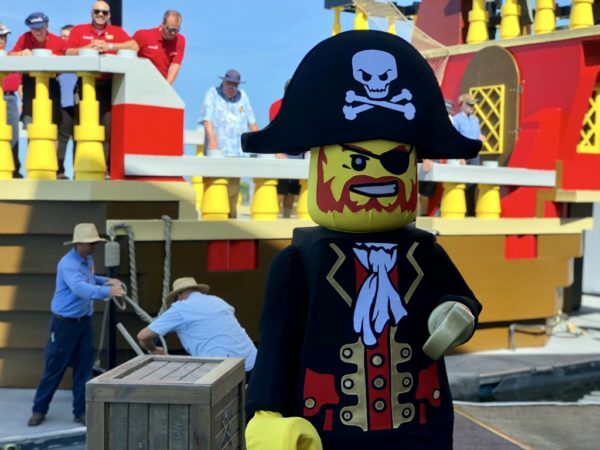 LEGOLAND Florida Resort recently celebrated its Model Citizens (employees) who fought for our nation by offering them the opportunity to set sail on Brickbeard’s Bounty as it made its way back to port at Pirate’s Cove. The passengers proudly represented every branch of the military with more than 100 years of service combined. 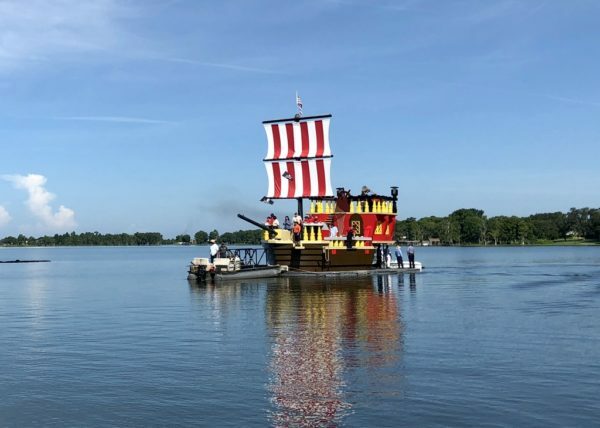 In September 2017, the resort’s pirate ship was severely damaged during Hurricane Irma and following the storm, it was removed as a part of the water ski show. Over the course of nearly 10 months, the ship was stripped down to its frame and completely rebuilt. 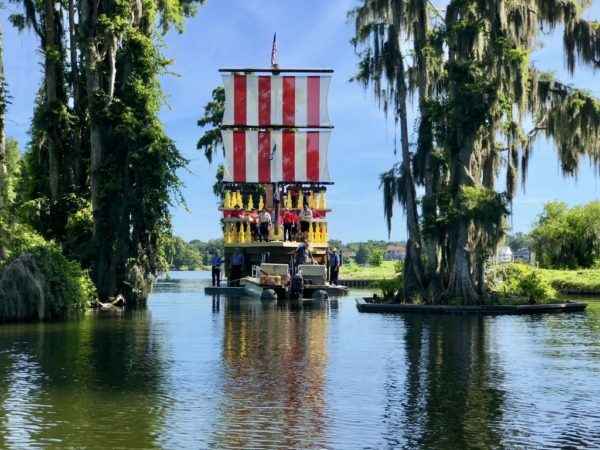 Restored to its former glory and topped off with new sails, Brickbeard’s Bounty is back and has taken back its place as the iconic centerpiece of the theme park’s popular water ski show. 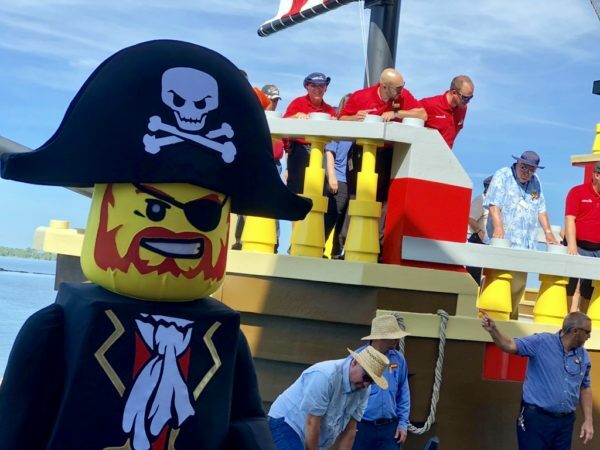 U.S. Service Members receive FREE admission to LEGOLAND Florida Resort & Water Park, with no restrictions or blackout dates. This offer is not available online. To redeem this offer, guests must bring a valid military ID to any LEGOLAND Florida Resort ticket window. Non-active duty, family members and veterans can purchase deeply discounted tickets at each military base’s Information, Tickets and Travel (ITT) office, including a special offer that includes a 2nd day free.